Norm Braga first established Justin Michael’s Salon in Castro Valley in 1974. The salon, originally named “Norm’s Hair Works”, began as a small boutique salon with only four employees. In 1981 on his son’s 2nd birthday, Norm made the decision to change the name of his salon to reflect the love he had for his son, Justin Michael. On August 16, 1981 Norm’s Hair Works officially became Justin Michael’s Salon. The salon quickly grew as it became known as a leader in the beauty industry and Norm decided to expand, opening a second salon in Dublin in 1988. His goal was to create a larger full service salon that would provide his clientele with comprehensive beauty care offering hair, skincare, makeup, nails and masseuse while maintaining its high standard and reputation as a leader in the profession. 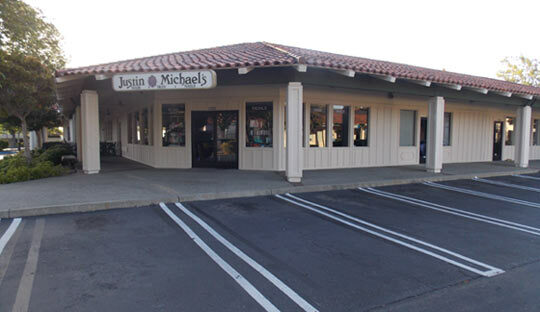 After operating both salons for a brief period, Norm made the decision to consolidate the Castro Valley location so that he could focus his full attention on the Dublin Justin Michael’s Salon. Our younger staff members have undergone extensive training by the most contemporary artistic directors and every quarter Justin Michael’s Salon hosts educators from other cities to refresh and review the latest trends. We welcome you to visit our salon, relax, sip on a glass of wine and enjoy the “Justin Michael’s Experience”.